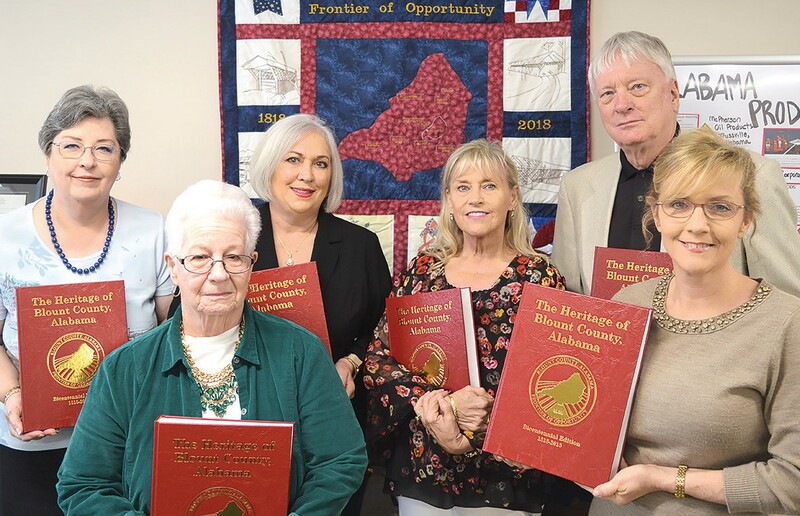 Museum board members (from left) Laura Roberson, Margaret Hudson, Deb Hicks, Cindy Self, Stanley Moss, and curator Amy Rhudy display the new Heritage of Blount County books. The newly renovated Blount County Memorial Museum is now open, says curator Amy Rhudy. She invites everyone to come see the changes. A very unscientific polling of about 10 recent visitors by The Blount Countian reveals that they are all happy with the new look and most called it “wonderful.” One thing in particular that Rhudy pointed out is that displays are now more accessible to handicapped persons. Smith’s class will be on Wednesday mornings, April 3, 10, and 17, from 9 a.m. to 11 a.m. There is a cost of $10 for a kit that Smith says will provide everything needed. There is a limit of 10 slots. Call the museum at 625-6905 to reserve a spot. Rhudy also announced the arrival of the Bicentennial Edition of The Heritage of Blount County, Alabama book. If you pre-ordered a copy, please come by and pick it up. Copies are also available for purchase at $75 each.